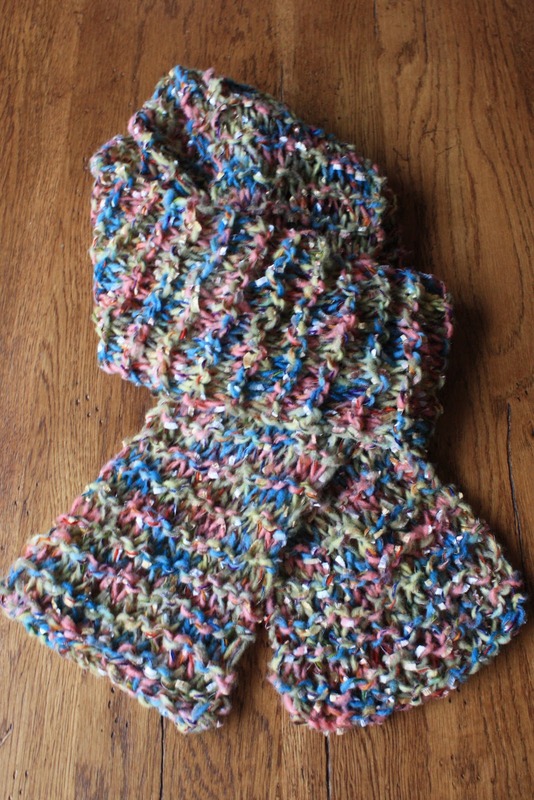 Knitting project #2 is complete! It really helps that the weather outside is frightful and knitting is the perfect way to pass the time while I stay warm inside. An actual scarf that is long enough for a casual drape around my neck or to double up for a snuggly warm wrap. The yarn is Tokyo Filatura di Crosa 033. I used my favorite #17 needles to give it a loose and lacy confetti-like look. Love, love, love it! So yesterday I wore it while I ran errands and my friends Mike and Mary Jo stopped me in the market to ask if I had made my scarf. Apparently they had just read about my first project! I'd better get busy on project #3, which is about halfway finished. This is so much fun! 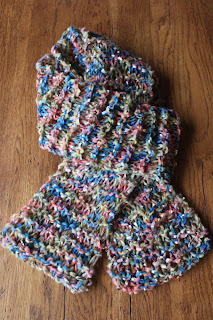 Just love your 2 button scarf vest, am going to do it when the snow falls , such a terrific winter project. Thanks so much for sharing this picture and pattern. Thanks, Carol Anne! I have not done any knitting for quite a while. You have reminded me how much I enjoyed it though, so I’m definitively going to pull out a project for the winter.